On the matter of the large-scale riots in Gaza Monday, Nasrallah said that the situation there was dire. “People have no money or food. The Gaza Strip is about to turn into Yemen, in the hopes that it will lead to its surrender. The resistance has turned this day into the ‘March of Return’ and I laud it for that,” he said. “Israel has said that the hand that touches the Golan Heights will be severed. That has been proven to be false,” he bragged. “Israel cannot continue attacking and interfering in Syria without ramifications,” he concluded. 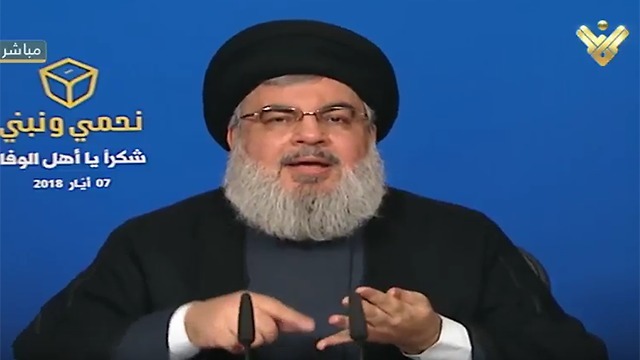 “Trump knows Iran harbors no plans to develop nuclear weapons and well knows it’s developing no ballistic missiles, but his problem is that Iran supports Hezbollah, Hamas and the rest of the movements of the resistance,” the Lebanese leader claimed. 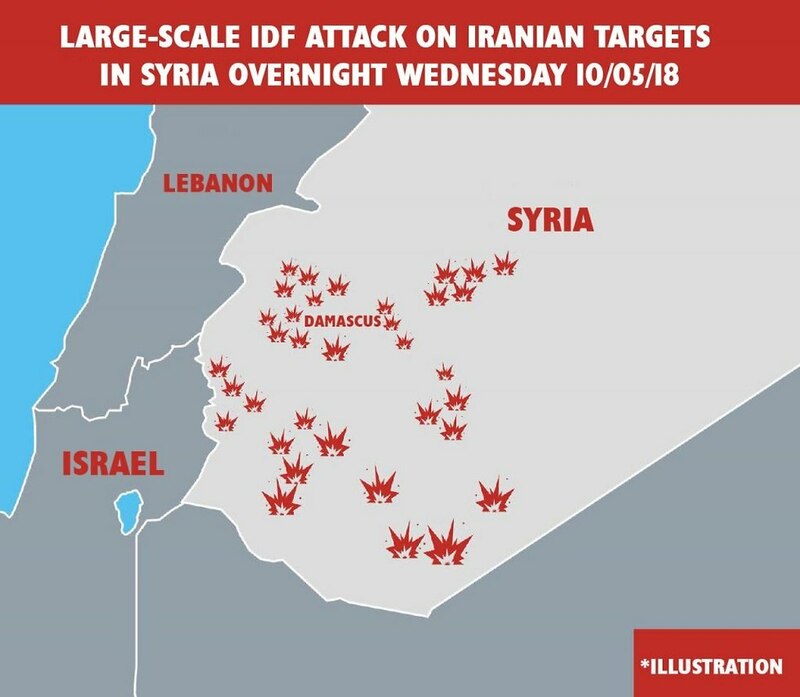 This past Saturday, Britain-based Syrian Observatory for Human Rights reported that at least 11 Iranians were among those killed in the unprecedented Israeli strikes on Syria this week. “At least 27 pro-regime fighters were killed” in Thursday’s strikes, said Rami Abdel Rahman, director of the Syrian Observatory for Human Rights. 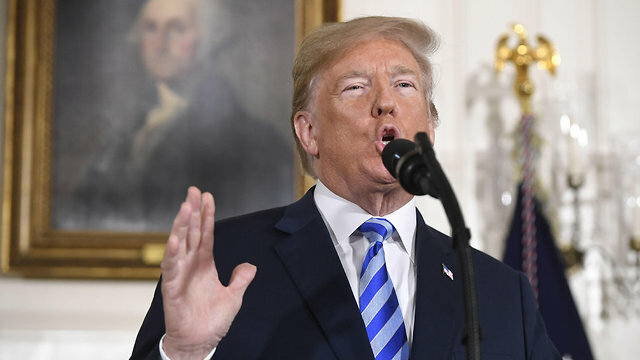 He said “six Syrian soldiers and 21 foreign fighters, including 11 Iranians” were among the dead. 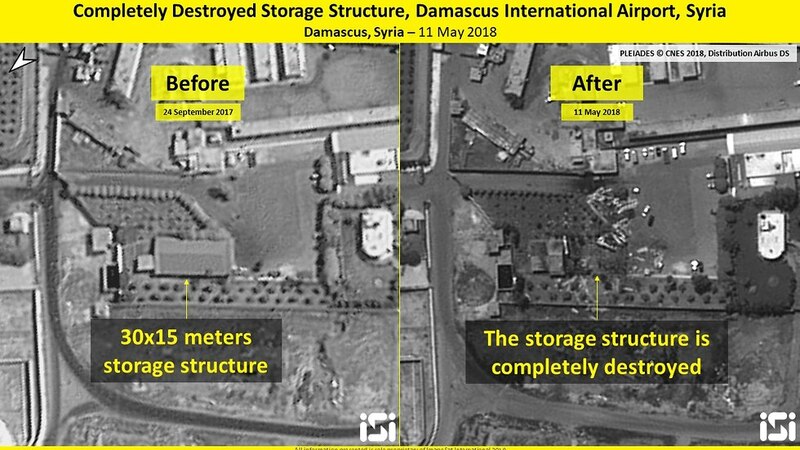 The IDF on Friday released aerial footage of the Iranian sites that were targeted in Thursday’s retaliatory air strike in Syria, highlighting and identifying the specific targets attacked by the IAF. Hevron Jewish homes to be repopulated soon Homes in Hevron purchased by Jews from Arabs could be repopulated soon after an investigation found that the sale was legal.